Mariner 10 was launched on November 3, 1973, 12:45 am PST, from Cape Canaveral on an Atlas/Centaur rocket (a reconditioned Intercontinental Ballistic Missile - ICBM). 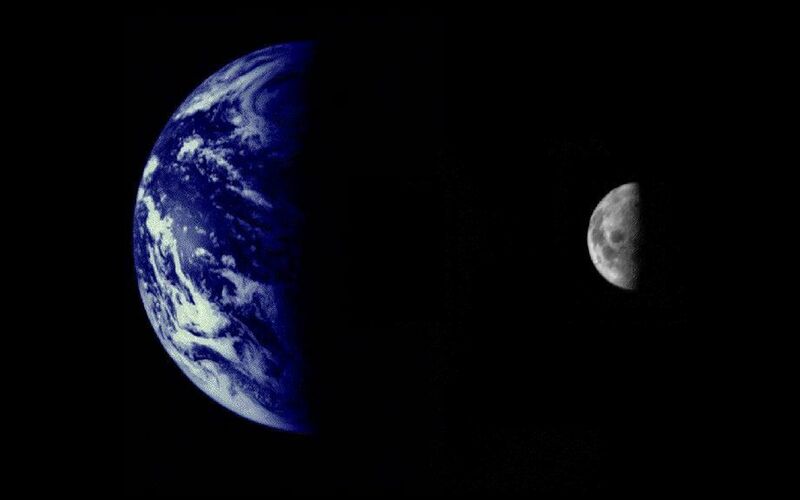 Within 12 hours of launch the twin cameras were turned on and several hundred pictures of both the Earth and the Moon were acquired over the following days. 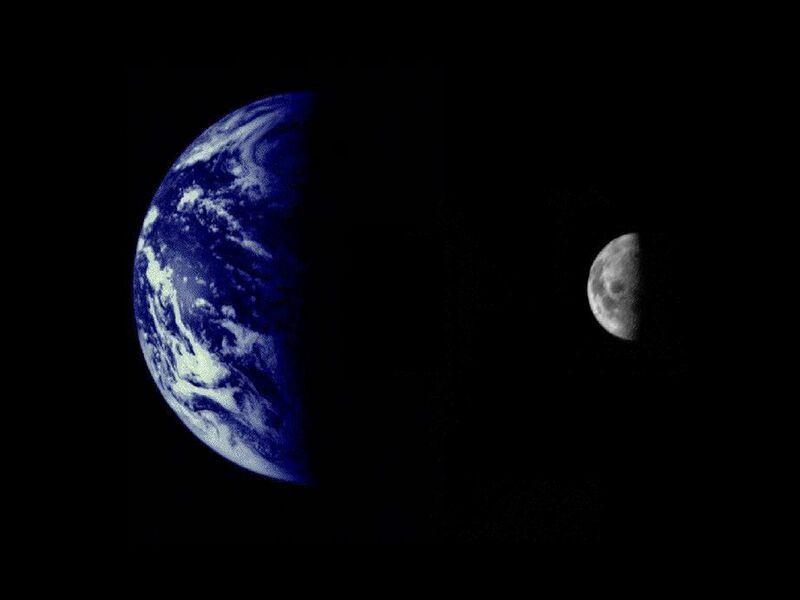 The Earth and Moon were imaged by Mariner 10 from 2.6 million km while completing the first ever Earth-Moon encounter by a spacecraft capable of returning high resolution digital color image data. These images have been combined at right to illustrate the relative sizes of the two bodies. From this particular viewpoint the Earth appears to be a water planet! The Mariner 10 mission is managed by the Jet Propulsion Laboratory for NASA's Office of Space Science, explored Venus in February 1974 on the way to three encounters with Mercury-in March and September 1974 and in March 1975. The spacecraft took more than 7,000 photos of Mercury, Venus, the Earth and the Moon.